Each of these services can be combined to create the ultimate marketing package for your brand. Talk to us about how we can integrate these services and get more face-time with your audience. We can use our media connections to promote your business, event, or service. We offer everything from press release composition and distribution to updating your brand’s online presence. Our website developers give your business an interesting, easy-to-navigate, and affordable website that allows your customers to learn more about you online. All websites we develop are mobile responsive and can be easily updated by you if desired. Our street team of brand ambassadors can take your messages and put them in the hands and ears of the demographic you are targeting. This extends the life of your materials through engagement and excitement. 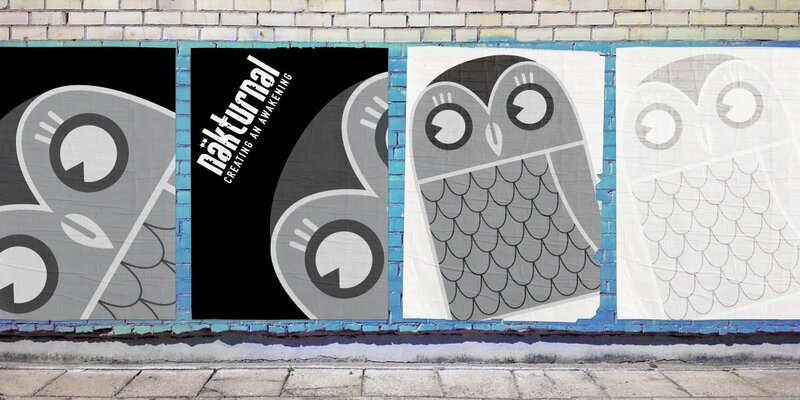 Näkturnal also offers collateral distribution services through our street team. Let us help you with get your event’s posters/fliers/brochures into local businesses to ensure that they are seen by your target audience. We offer full service event production including logistics, booking, promotions, and day-of staff support. Collectively, we have planned, produced, or promoted thousands of events. Planning & executing comprehensive event integration for brands with the objective of creating an experience that is so engaging and relevant that it inspires brand loyalty. We think outside the box to get your message across. We have execution experience in everything from video projection mapping and sidewalk chalking to flash mobs and scavenger hunts in high traffic areas. We utilize our existing corporate relationships to gain financial support for events while providing an event marketing experience for corporations. Are you a brand looking to expand your exposure online? While there are many blogs and sites online that can promote your brand, it’s important to choose strong influential bloggers who embody your branding to drive their thousands of readers to your site. We have databases of bloggers for a variety of industries, from fashion and beauty to fitness, parenting, and green industries. We will manage the bloggers, assure they follow our suggested best practices, and manage payment. You just sit back and watch the sales come in. We make sure your biggest sales, items that need a boost, or keywords you are aiming to optimize are promoted extensively through our network. Influencer marketing management will consistently be optimizing your site for SEO.